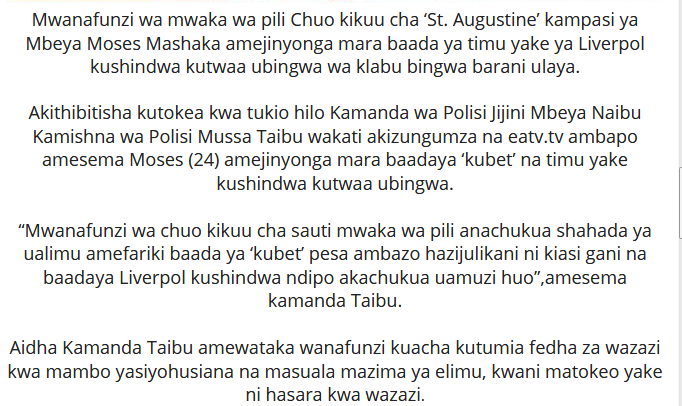 Mbeya Regional Police Commander Musa Kaibu confirmed this report. Mr Kaibu said he received the preliminary reports at 10a.m. 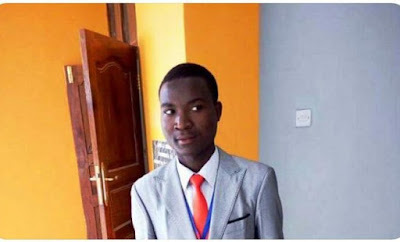 Mr Mashaka was a second year studentsat St. Augustine University of Tanzania (SAUT). He was a second year student pursuing a Bachelor’s degree in Education.RPC Kaibu informed The Citizen that the landlady is the one who reported the case to the police. The case is still being investigated, RPC Kaibu said. The man hanged to death after he lost a betting over yesterday’s match between Real Madrid and Liverpool, police preliminary reports confirmed. Real Madrid won the match (3-1 goals).